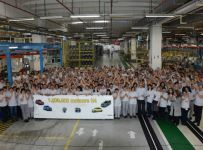 Dacia celebrates the production of five million cars at the Romanian factory in Pitesti. The Romanian car manufacturer reached the previous milestone of four million cars three years ago. 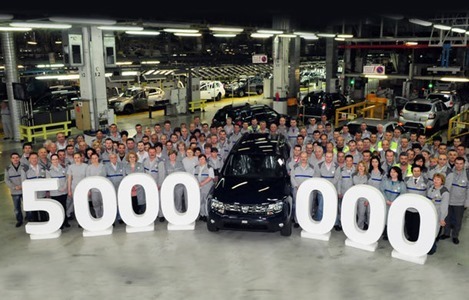 Dacia marked a new milestone of production at the Pitesti factory, celebrating the production of 5,000,000 vehicles. The last milestone was reached by Dacia in March 2011, when the 4,000,000 car left the Mioveni factory. In both cases, it is a Duster model, and both copies were bought by Romanian customers. 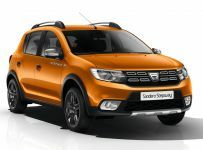 The daily production of the Duster model represents more than 50% of the total production, according to the Romanian car manufacturer officials. The first million vehicles produced by Dacia was celebrated in 1985 and the anniversary model was a Dacia 1310. The second milestone came a year before becoming a Renault brand, the 2,000,000 car was a Dacia 1307 with double cab. Under the French leadership, the third million cars produced by Dacia came nine years later, the anniversary model was a Dacia Logan MCV. In a year the Dacia Pitesti factory can produce 350,000 units and last year, 93% of the production of the factory went to export. 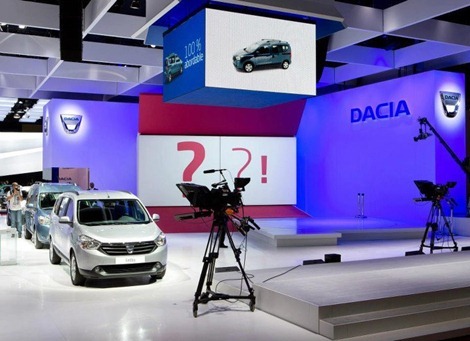 In 2013, Dacia had the highest sales growth in Europe, 21.1% in the first 11 months of the year, surpassing more important brands, despite the fact that Dacia has a market share of just 2.4 % in Europe. This situation could be repeated in 2014, if we look at the evolution of Dacia sales in Europe in the first four months of 2014. The Pitesti manufacturer had in March the highest percentage sales increase in the European market, according to a ACEA analysts. According to ACEA, Dacia sales increased by 53.5% in March and with 42.7% in the first quarter, compared with 2013 results.